like *winzip*, *notepad* etc... The product has a standard interface in which you can easily navigate within its features and all search results can be exported into several popular formats like (HTML, EXCEL, XML, TXT). technology and is able to scan over 500 remote hosts simultaneously that increases the scanning results time. including html, excel, xml,text etc… and saving scanning results to file for later reference is also supported. - The product has a standard interface in which you can easily navigatewithin its features. How To Search for ... 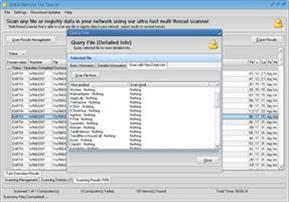 Files and Registry keys Remotely in Enterprise Networks? your enterpise network under full administrator rights and without any end user interuption. files and registry data in a silent mode operation. 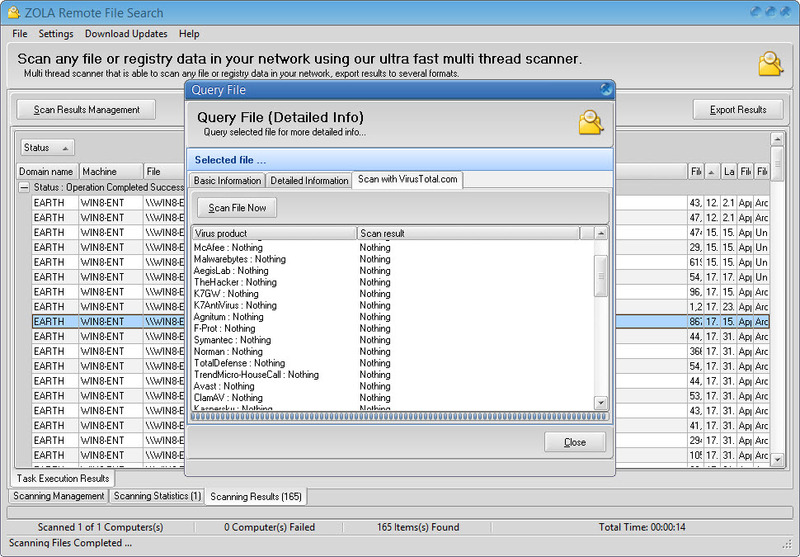 Scan and search your enterprise network for any files and registry data available on remote computers. Get detailed info about each file and registry data detected during the scanning process. Create unlimited search scanning criterias both for file and registry data and store them in the program database.